Your Safety & Your Positive Experience. Your safety, including strict adherence to cleanliness, the best tools, excellent lighting and clear communication, is our first priority. We care about you enjoying your time here and getting the best result possible. In both the in-house artists and the jewelers who handcraft and handset the most unique, quality jewelry we can find. We order from BVLA (Body Vision LA), Anatometal, Body Circle, Diablo Organics, Flaming Bones, Glasswear Studios, Gorilla Glass, Industrial Strength, Kaos Softwear, Maya Jewelry, Neometal, Quetzalli Jewelry, Venus by Maria Tash and more! Our industry is growing and changing in exciting and expansive ways. We are leaders in our industry and continually search to invite, collaborate and make the expression of tattooing and body piercing a transformational experience for each person. One that is safe, and where all people know they are welcome. While you’re browsing in the shop, we’re ready for your questions! You’re already shopping, so ask away! You’ll find ideas & inspiration and get clear, specific answers to your all of your questions, even the one’s you may be nervous about asking! Take advantage of the genuine care & attention of a friendly Body Art Consultant, so you can easily make the most informed & best choice for yourself. As a teenager growing up in rural Minnesota, I was one of the very few people interested in any body modification. In 2009, I made my way to Minneapolis and that is where I first was introduced to the APP, quality body jewelry and knowledgeable piercers. Ever since, I became a huge piercing enthusiast. Body piercing and quality jewelry have been some of my biggest interests and this industry is something I started following very closely. In 2015 I moved to the beautiful state of Washington and in 2016 I had the opportunity to start working at Laughing Buddha. I’m extremely excited to be able to continue learning about this industry from all the amazing people I get to work alongside and pass that knowledge onto everyone that walks through our doors. 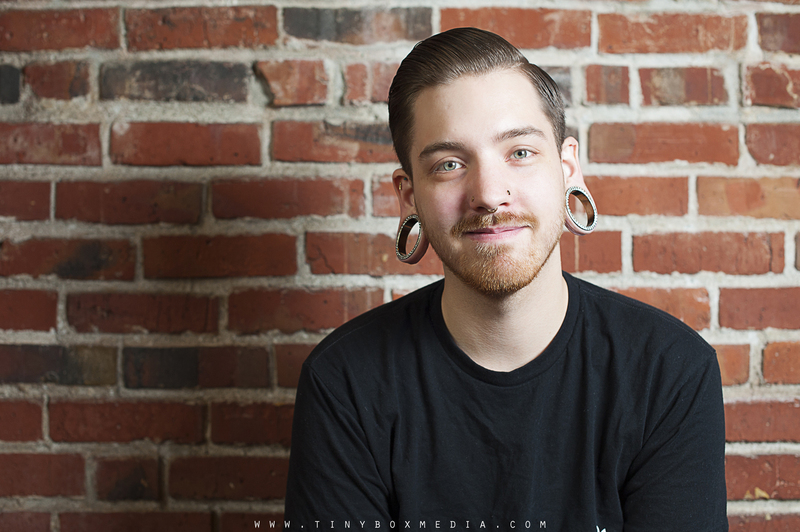 My greatest interest is working with the finest jewelry in the industry and assisting everyone in getting the look they want and making them feel beautiful and confident with their piercings. Feel free to come in and we can work together in getting your perfect jewelry combinations. When I’m not at the shop, I’m probably at home binge watching something on Netflix or playing my guitar. Otherwise, you can usually expect to find me enjoying the outdoors on some hiking trail or at a show enjoying some good music. We have added some new Body Art Consultants to our team and will be post their photos and bios soon. I received a piercing apprenticeship at a tattoo and body piercing studio called Altered Skin in 1997. It was right across the street from the school I graduated from that same year in Missoula, Montana. Shortly after I became a piercer I started my tattoo apprenticeship and began tattooing in 1999. 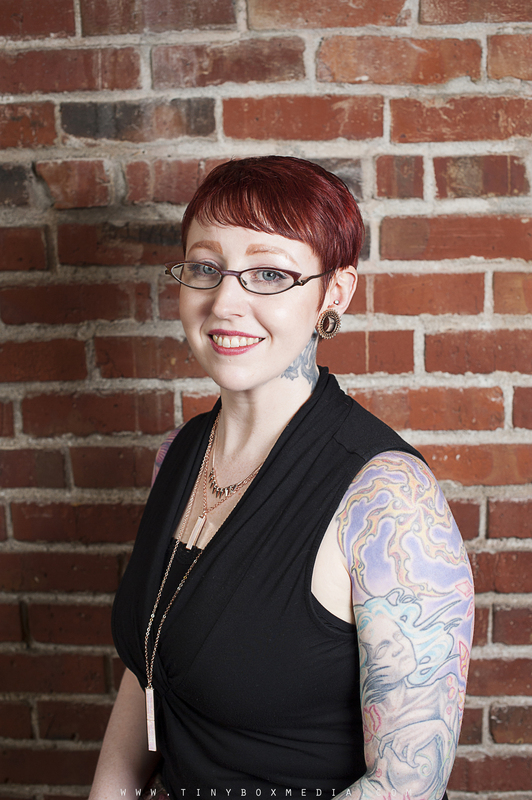 After moving to Seattle in 2001, I stopped body piercing to focus in on tattooing. I worked at 3 amazing studios in Seattle before starting my own studio in 2009 called Damask Tattoo which I still own. In 2015 I had the amazing opportunity to purchase Laughing Buddha Tattoo and Body Piercing and jumped at the offer. I’m so proud to be the owner of a 20 year old studio! It’s such an honor and I couldn’t be more excited about it.After tattooing for almost 17 years I decided to focus entirely on running the studios and put tattooing aside. I absolutely thrive on creating beautiful, fun and fulfilling spaces for people to work at and get tattoos and body piercings. In my life, I have an amazing husband who backs me up in everything I do. We love working on our home, hanging out with our hairless cats, working out and occasionally, going camping and traveling the world. I’ve had the pleasure of serving on the Washington Department of Licensing Tattoo Advisory Board where we worked on creating the rule to enforce the body art laws in Washington that went into effect in 2009 and we continue to meet to review progress and talk about new legislation. 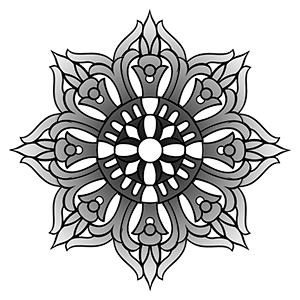 We’ve worked to create a warm and inviting environment for you to get tattooed, pierced and purchase new, beautiful jewelry here at Laughing Buddha and we look forward to seeing you here in the store!